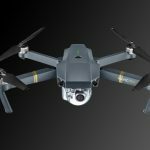 HomeDrone newsThe Comparison of the Camera of Mavic Pro, Spark and Phantom 4? Which one is better? The Comparison of the Camera of Mavic Pro, Spark and Phantom 4? Which one is better? The major part of first-time drone pilots and experienced users prefer DJI to other drone manufacturers. Nevertheless, this company has a wide array of drones and in some instances, it is really difficult to choose the best DJI drone for you. The main decisive factor for the majority of potential customers is the characteristic features of the camera. The prime target of any drone is to make amazing aerial footage. So the camera is the first thing you need to take into account. Of course, these days, drones are also used for lots of other purposes like product shipment, or office patrol, but their overarching goal is to be your eye from the sky. So, right now we will compare three cameras of three the most popular DJI drones: Spark, Mavic Pro and Phantom 4. Below, we publish the video, for you to see with your own eyes a real difference. This video comparison was made by a professional tech reviewer Billy Kyle. He managed to fly three different drones over one and the same scenery. He used auto exposure and sunny white balance. Having watched the video we see that the footage taken from the Spark and Mavic Pro is very similar. There is no great difference in quality. The color profile of these two drones is also different. Nevertheless, we see that the camera of Spark even cannot be compared to the camera of Phantom 4. The greatest advantage of the Mavic and Phantom 4 Pro is that both drones shoot in 4K. Besides, they allow users to have a full control over various style settings and color profiles. Users of Spark are restricted in settings. Analyzing such aspect as portability we see that DJI Spark wins. 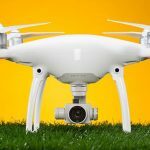 Phantom 4 is a cool solution for those who are interested in professional aerial footage and those pilots who are not going to travel with this drone. Otherwise, it is necessary to obtain a special backpack for transporting this drone. Besides, it is bulky. So, taking into account the camera characteristics, Phantom 4 wins. There is no considerable difference between the camera of Spark and Mavic. 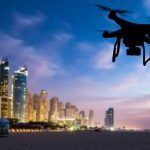 So, right now, you need to choose which drone is the best option for you. Here, at aeromotus.com, we will help you make your final choice! Mavic Pro or Phantom 4? Which One is Better?